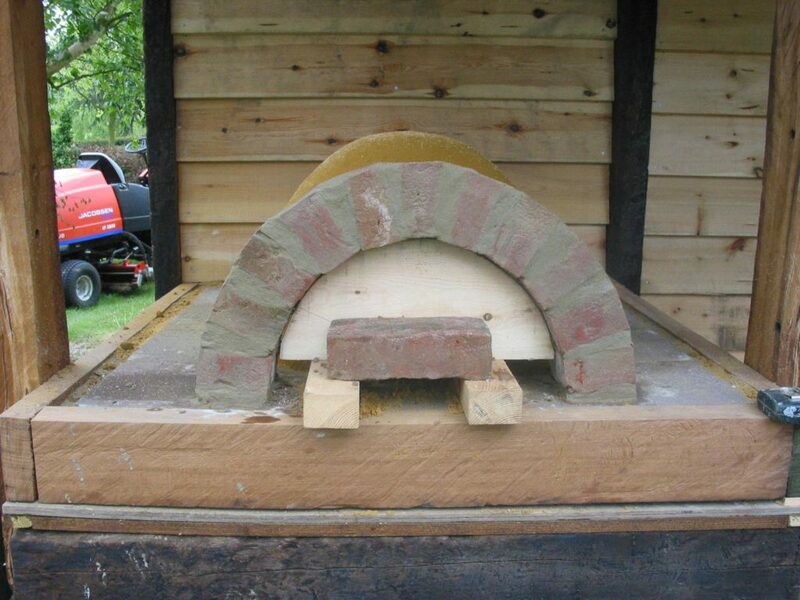 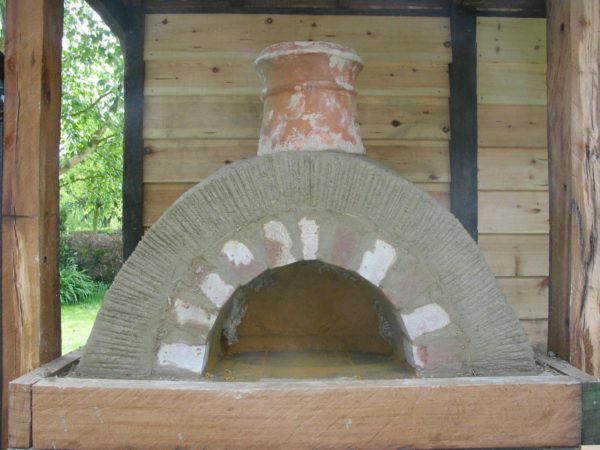 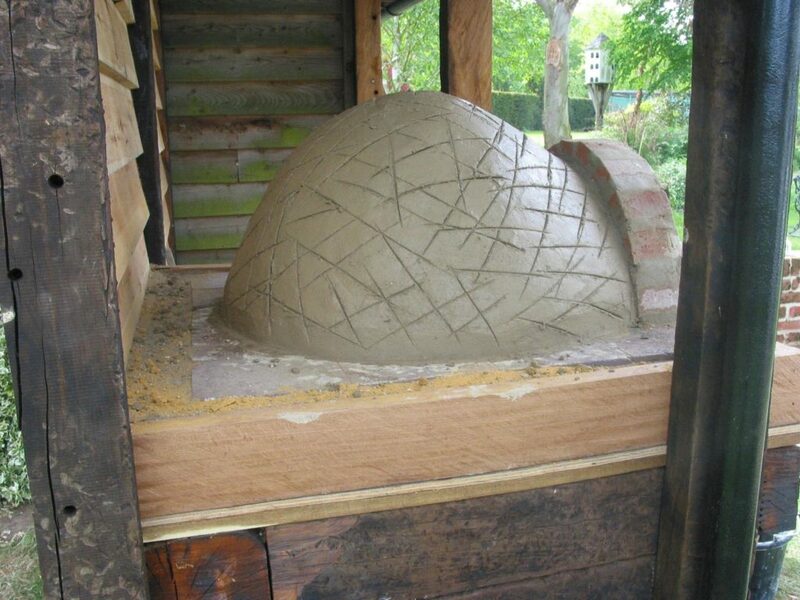 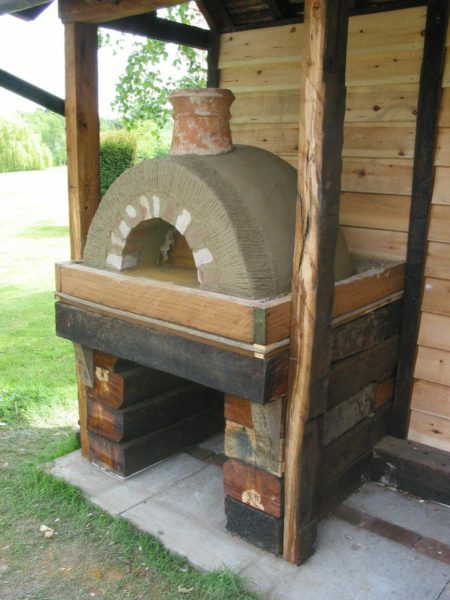 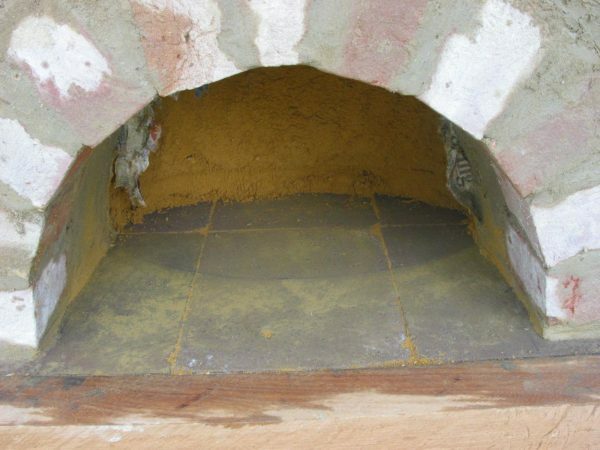 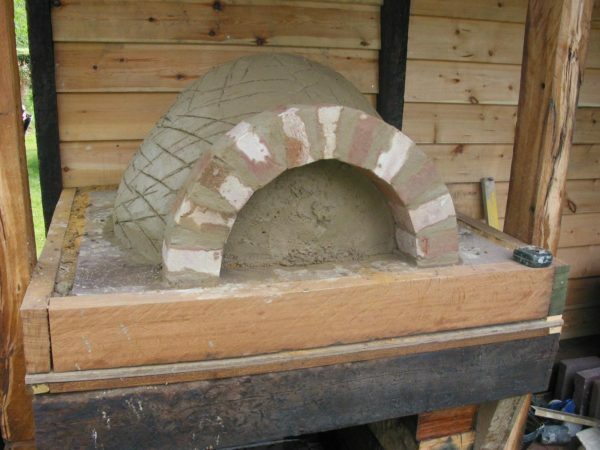 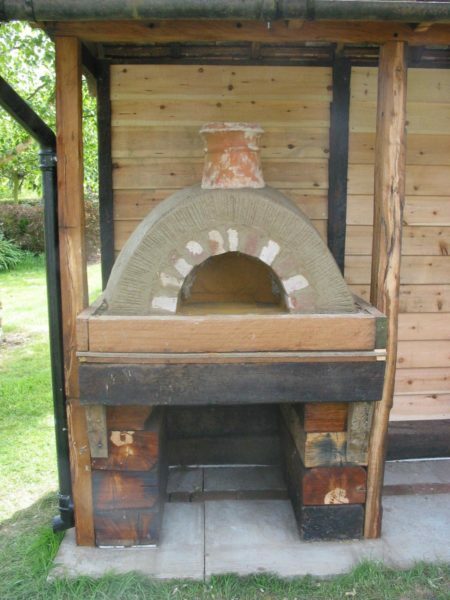 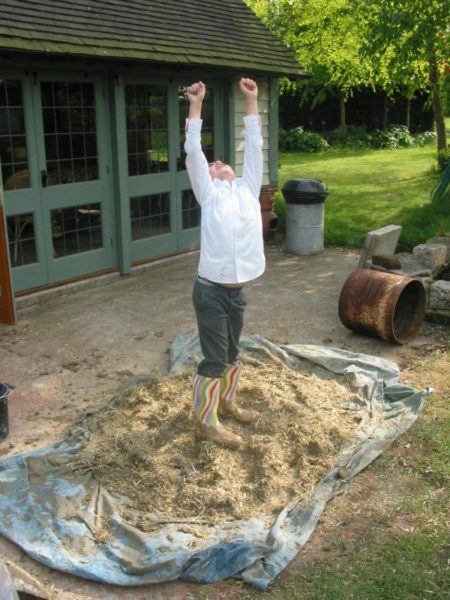 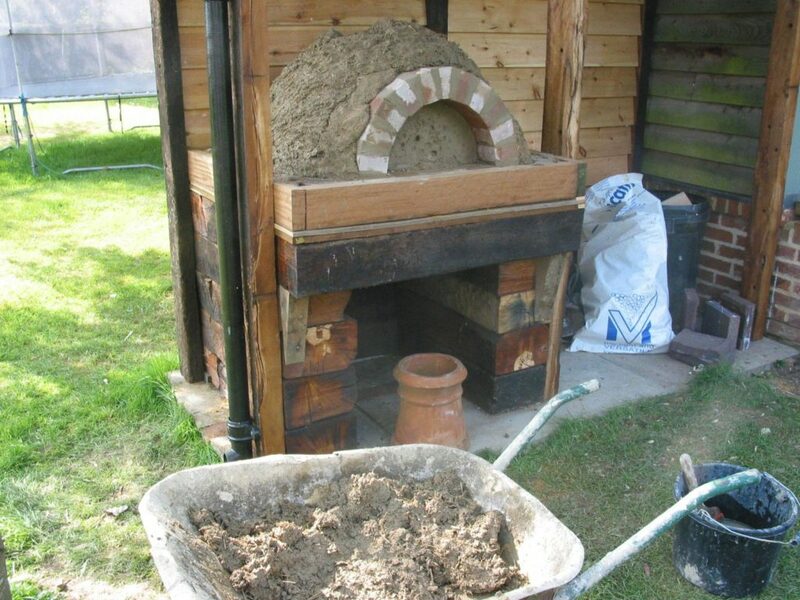 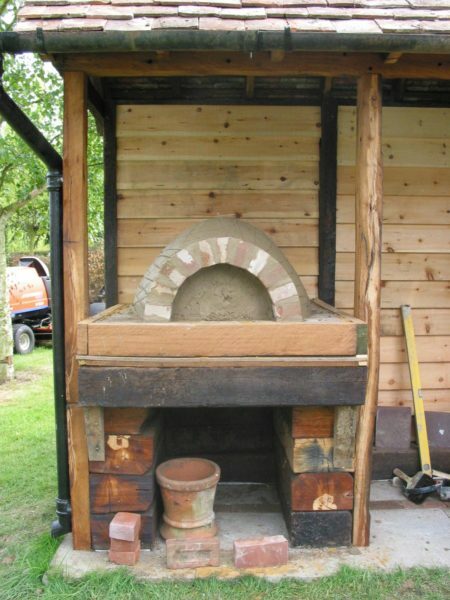 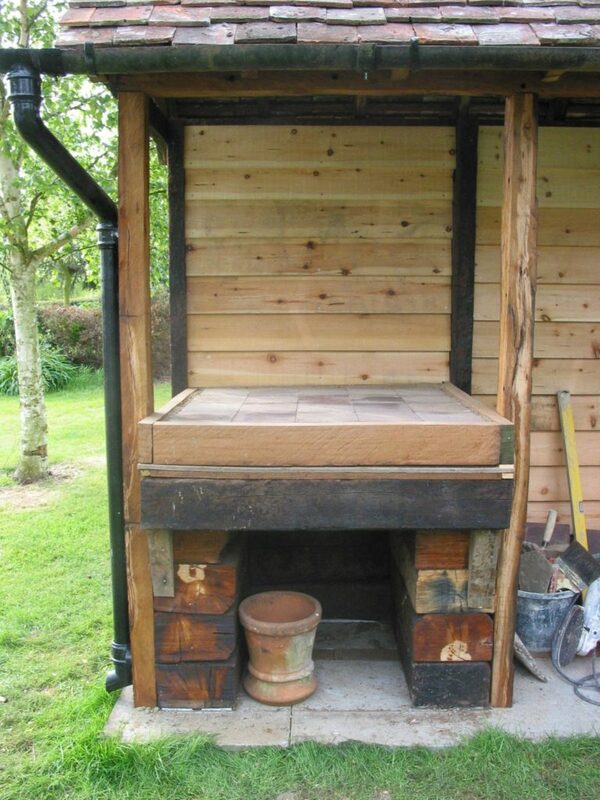 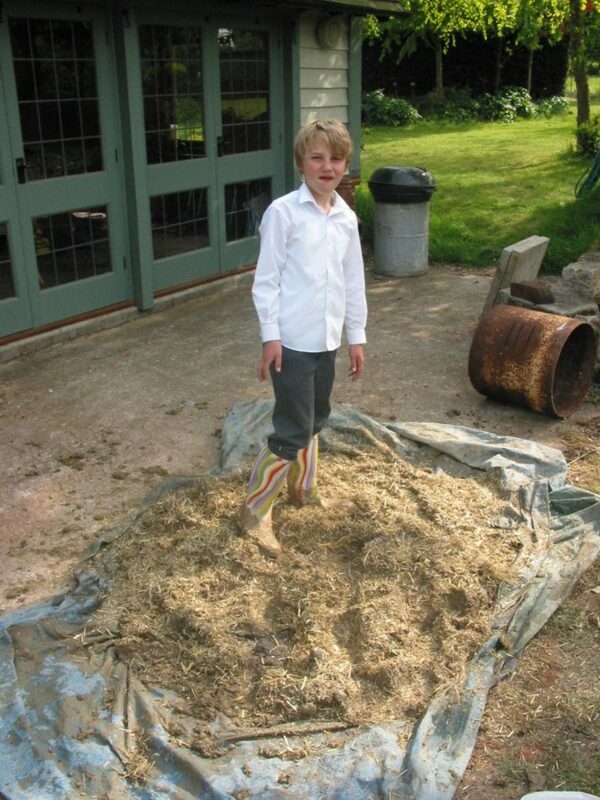 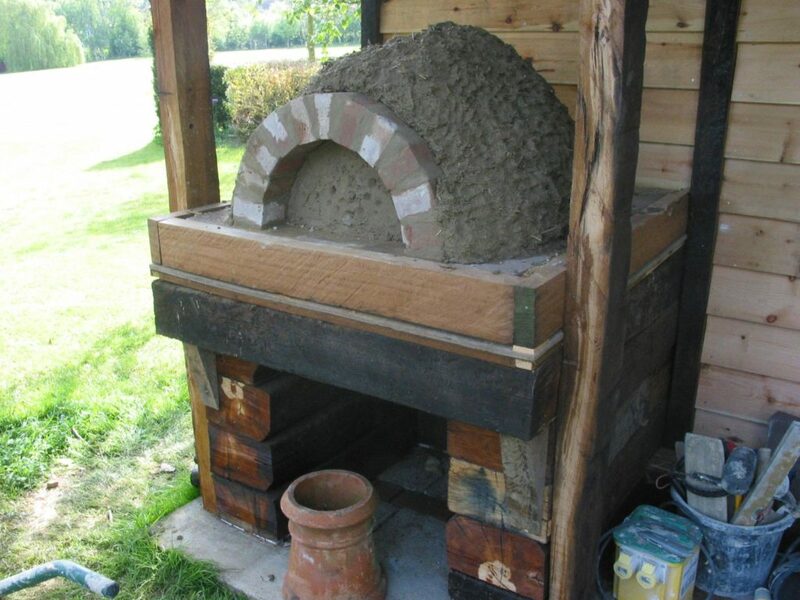 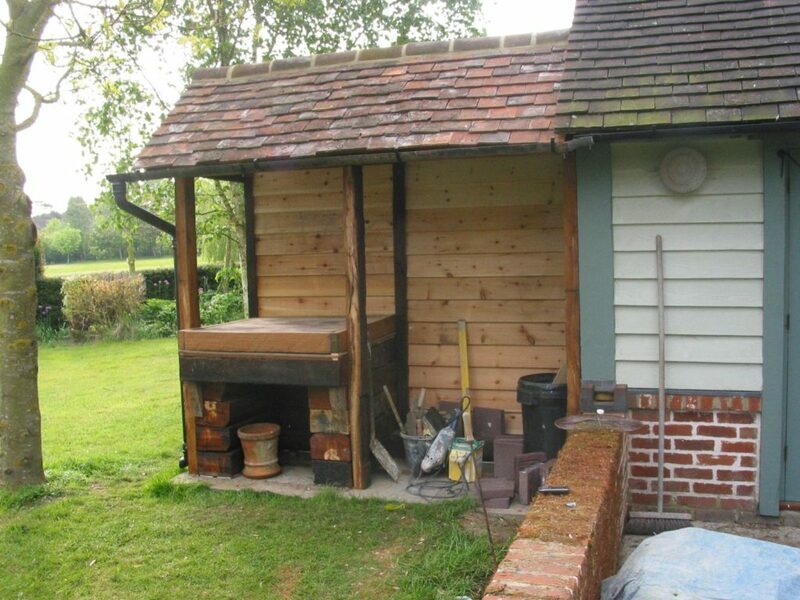 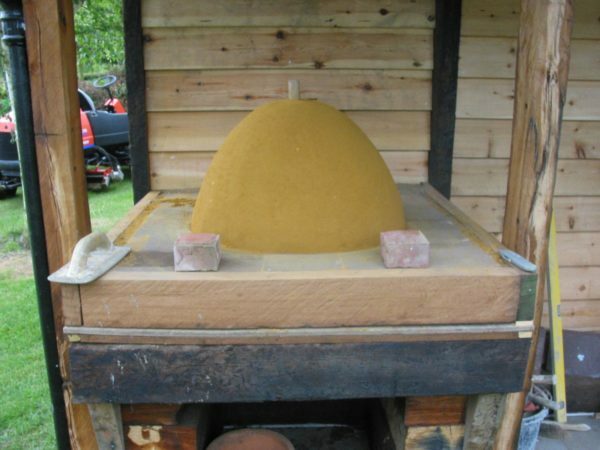 While we were working at the RSCC in May 2011 we were contacted by another client in Kent who wanted a cob oven for his garden and sited in the grounds of a very old brick and oak frame house in Lynsted near Faversham. The client had built a very nice base and roof for us so all we needed to do was lay a hearth and brick arch and build up the layers of clay cob. 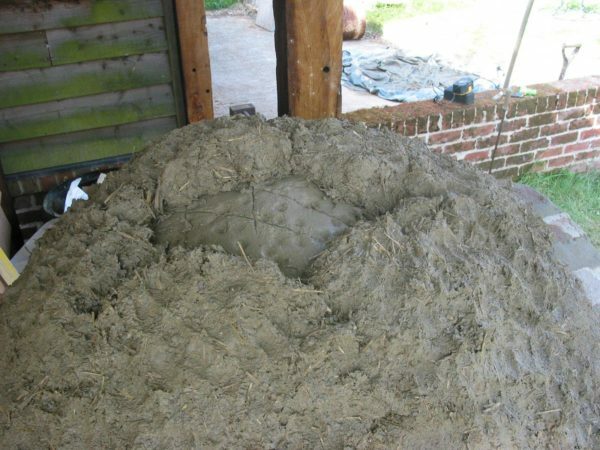 With the help of the clients young son helping after school, the clay was soon puddled and applied and ready for hand over a few days later. The cob oven Lynsted fitted very nicely in the style of house and garden and is very popular with the kids for cooking pizza at home.